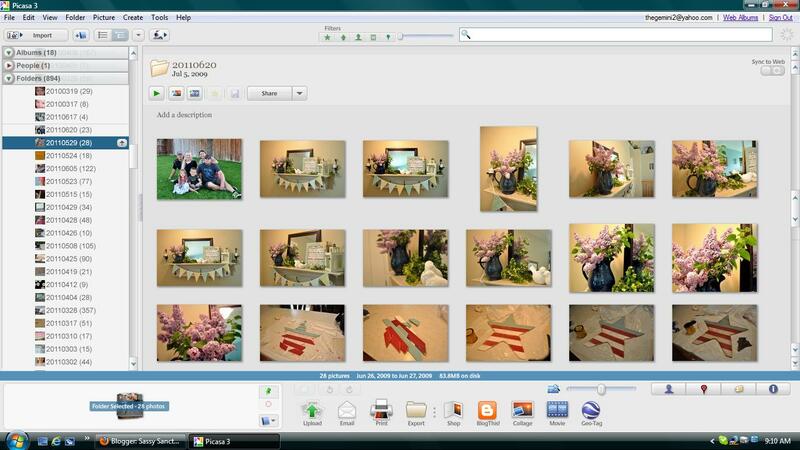 First up, using Picasa web albums. 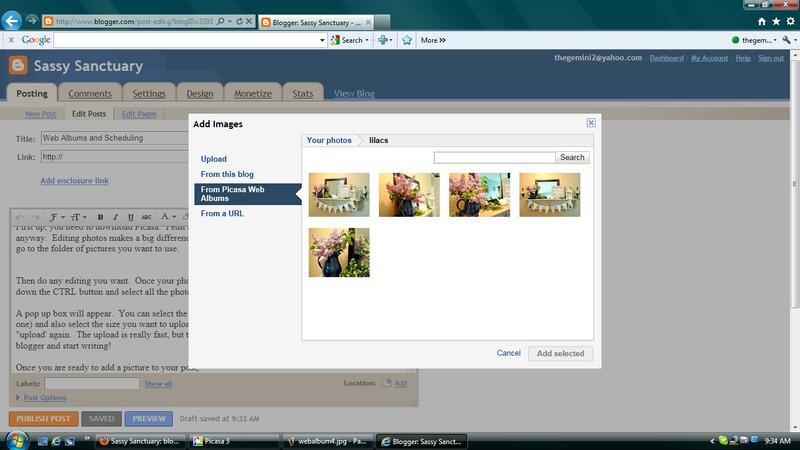 Does it drive you crazy how slow blogger is to load pictures? And you are stuck and can't be writing while its happening? It drove me bonkers! Since figuring out this trick, it has saved a ton of time! 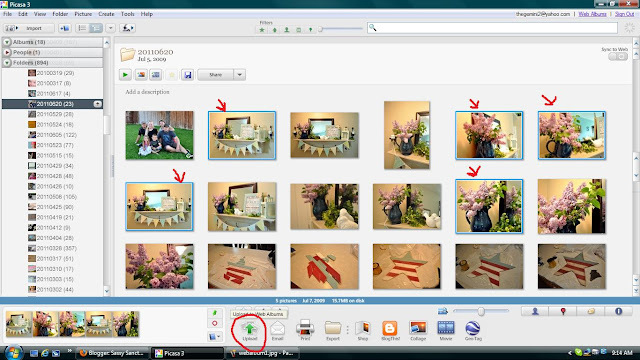 First up, you need to download Picasa. I edit all my pictures with Picasa before they go on my blog anyway. Editing photos makes a big difference. If you don't do it, you should! Open up Picasa and go to the folder of pictures you want to use. Then do any editing you want. 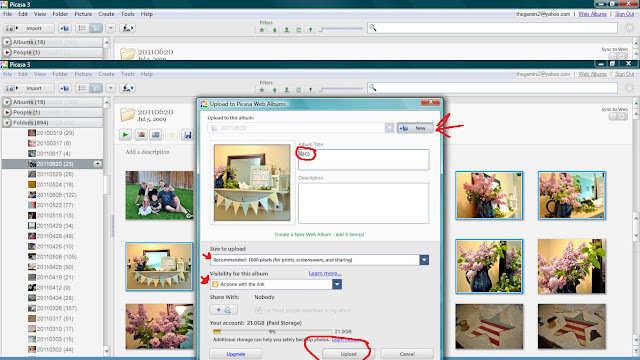 Once your photos are blog ready, go back to the main folder, hold down the CTRL button and select all the photos you want to use. Then hit the "upload" button. A pop up box will appear. You can select the folder you want the photos to go into (or create a new one) and also select the size you want to upload. I just use the recommended setting. Then hit "upload' again. The upload is really fast, but the best part is you are not stuck. 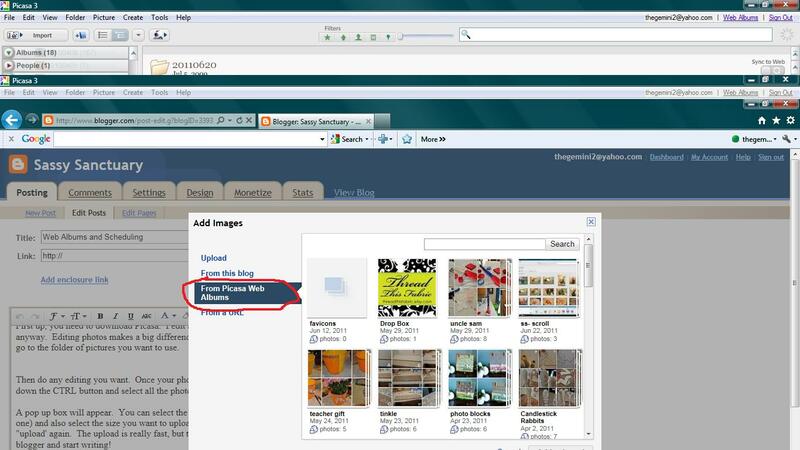 Feel free to log-in to blogger and start writing! Once you are ready to add a picture to your post, hit the load image icon and then hit "from Picasa web albums." 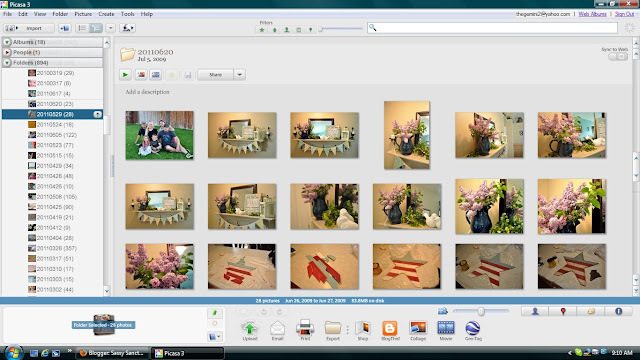 Select the album where your pictures are located and then select the picture you want to use. That's it! Super easy huh?! It will save you a ton of time. I also wanted to show you guys how to schedule posts if you don't know how yet. I like to schedule because I usually will write a couple of posts when I have time (aka nap time) and then schedule them to post throughout the week. That way I can spread my content out. All you do is hit the "post options" link below. A box will appear. 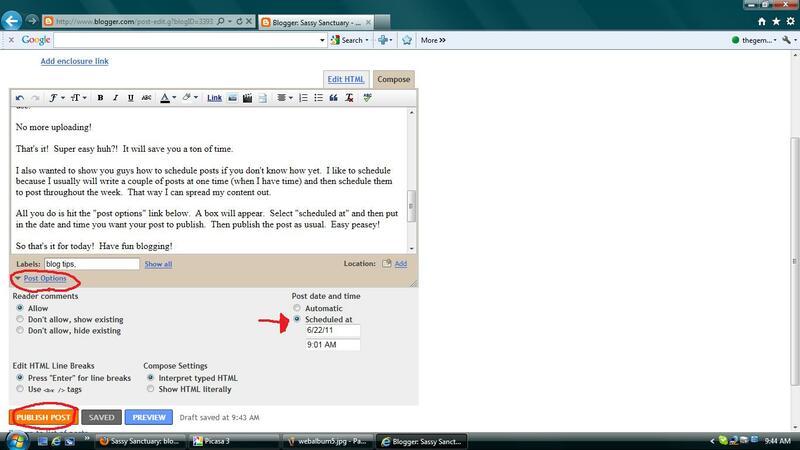 Select "scheduled at" and then put in the date and time you want your post to publish. Then publish the post as usual. Easy peasy! So that's it for today! Have fun blogging! I'm in the process of creating my "summer" mantle display. I have a few finishing touches to add before the full reveal but I wanted to share with you my slat star. My goal with this display is to give it an Americana feel, without it being so "4th of July" that it can't stay up for awhile. I think my star is the perfect addition. Fun huh!? I took some liberties with the American color scheme in order to make it fit with my decor, but I love how it turned out! I also love the shabby finish. So if you want to make your own, here is the method to my madness. A. Start by making a paper template of a star. Then lay out some scrap slats and trace your star. B. Then carefully cut each slat following your traced lines. It's a pretty easy task as long as you do it in order and not let yourself get confused. D. Then paint the slats. The top third I painted a light blue and then the rest I alternated red and white. Once again, don't let yourself get confused. 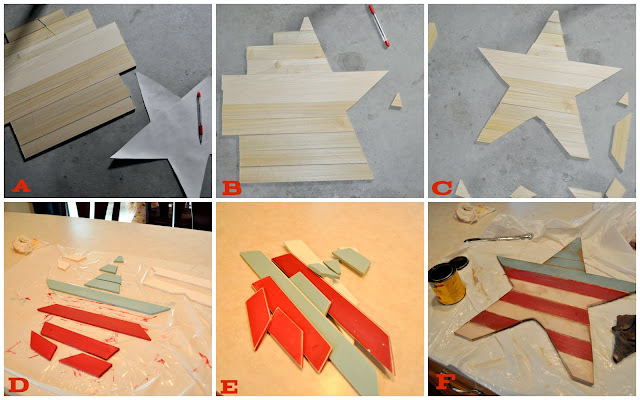 Lay your star out and mark what color each slat needs to be before you start painting. E. Take all your slats outside and give them a good sanding. F. Finally, hot glue the slats together to form your star. I finished mine off with a coat of dark wood stain also. And that's it! A super cute slat star that will look great with any patriotic or summer display! I know this is a little late in coming but I wanted to share with you a little somethin somethin I made for my husband for Father's Day. It was pretty easy and quick to make so if you are looking for a last minute idea, here ya go. The other day I was browsing Pinterest (there has been a lot of that lately) and I came across this penny key chain and thought it was perfect for Father's Day, so I recreated it. Here is mine. And the last washer is stamped with the names of our kiddos. Cute huh?! Here are some tips if you want to make your own. 1. Hammer your stamps on a hard surface, like your garage floor, and give it several hard whacks without moving your stamp. 2. Color the stamped washer with a sharpie and then wipe with a wet rag. This will help your text stand out. 3. When drilling your holes, just keep steady pressure and let your drill do the work. I was nervous about this part but it turned out to be fine. 4. To keep the coins still while drilling, I taped them to a scrap piece of wood. And that's it. A Father's Day penny key chain. In case you missed it last week, here is my Wood you like to craft? project for this month. The link party is going on now on the Wood you like to craft? blog. You can link any project that was inspired by this month's craft or any "star" wood project. Be sure to head on over and check out all the inspiration! We sure hope you'll join in! 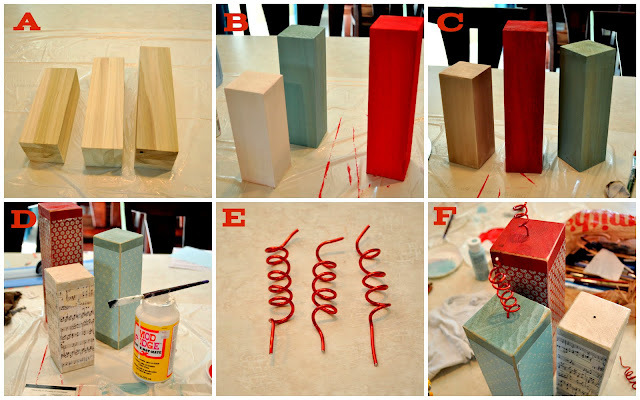 Use wood glue and finishing nails to construct your lantern. I started by connecting my frames to the posts (leave one frame off) then attaching that to the base. Then construct the "little house" part. (really not sure what to call that) Drill a large hole in the top peice﻿, then attach the "little house" to the center of your top. Finally attach the top to the main piece. It should look like this when its done. Hello out there! Did you guys notice that I completely forgot to do an inspiration file post last week? Oops. Not worry, this week will make up for it! First order of business though, we had a great Wood you like to craft? week over at Craft Goodies! If you missed it, be sure to head over and check all the projects out. The link party is now open on the WYLTC blog (where it will be held for now on) and we would love to see your take on this month's project. Remember, you can either do a lantern or link up any wood star project. On to the features! First up, I am blown away by this pallet wall from Grand Design. The color and texture it adds to her bathroom is just divine. 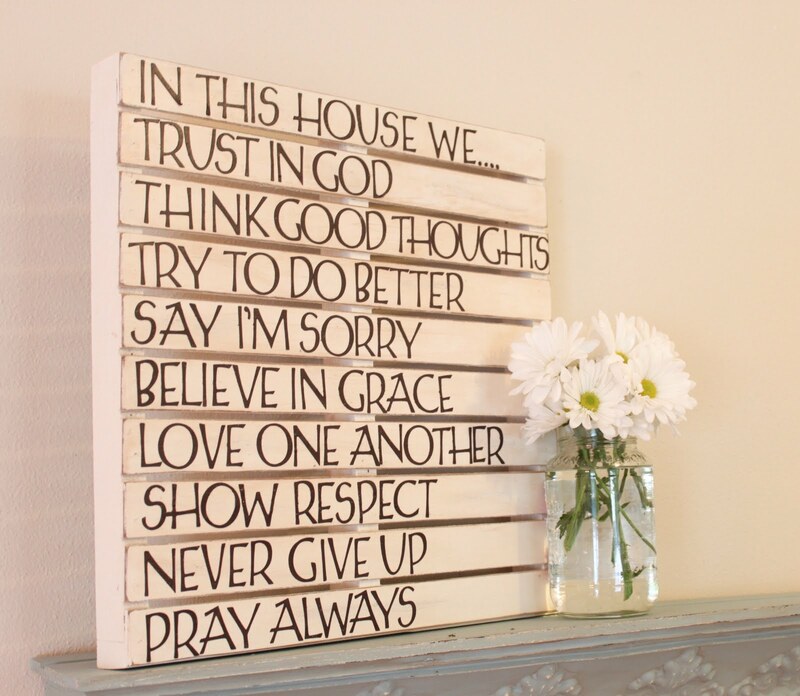 The fact that she reused an old pallet making this project free.... double divine!